Located in the heart of Docklands on the banks of the river Thames, this historical wharf is now a 3 acre site with 24,850 sq.ft. of unique internal and external spaces. Perfect for corporate hospitality, weddings, media centres, banqueting, launches, conferences, filming, photoshoots and dinner/dances. 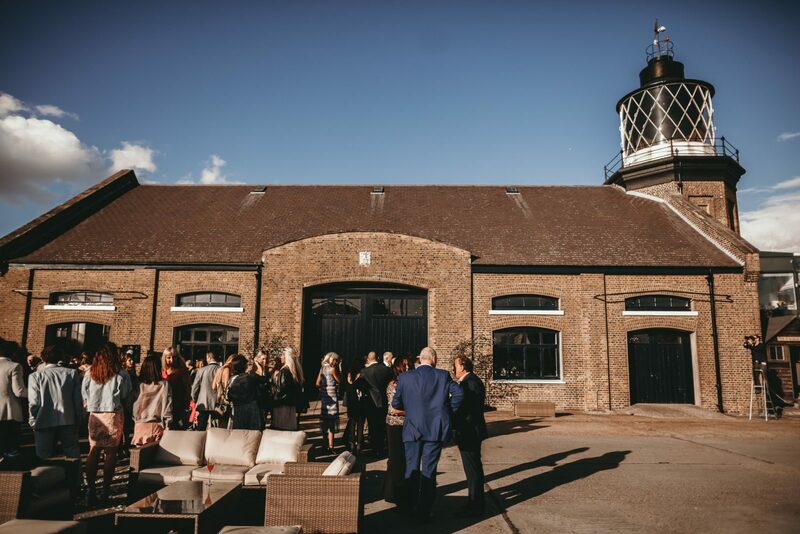 Situated one mile East of Canary Wharf, Trinity Buoy Wharf has all the charm, character and space of a former buoy manufacturing site, in an exclusive London location, boasting unrivalled views of the river Thames, O2 Arena and Docklands skyline. The Electrician’s Shop – Built in 1835, it is an industrial space with exposed brick and steel pillars – perfect for a ceremony or smaller reception venue.